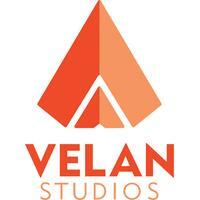 Electronic Arts announced today that they have entered into a publishing agreement with Velan Studios, a development company founded by industry veterans Guha and Karthik Bala. Through the agreement, EA will be responsible for publishing the first original intellectual property for consoles, PC, and mobile. The studio has already attracted talent who previously worked on highly successful games, including Guitar Hero and Metroid Prime. The full press release can be found by clicking Read More.